THE NOTORIOUS B.I.G. Notorious Thugs - ft Bone Thugs and Harmony. Notorious B.I.G. - ft Lil' Kim and Puff Daddy. GREATEST HITS. Who Shot Ya. 100% ORIGINAL PRODUCT. Various Artists : Clubland 12 CD (2007)Title: Clubland 12 Artist: Various Artists Genre: Dance|Compilation Duration: 202 mins Format: CD / Album Type: CD No. of Discs: 3 disc(s) Studio / Label: Universal Music TV UK Release Date: 05 Nov 2007. Amy Winehouse - Back To Black [Deluxe Edition]. Title:Amy Winehouse - Back To Black [Deluxe Edition]. Artist:Amy Winehouse. Your item will be previously owned but still in great condition. The disc will play perfectly without interruption and the case, inlay notes and sleeve may show limited signs of wear. Various Artists : R & B the Collection 2007 CD (2007)Title: R & B the Collection 2007 Artist: Various Artists Genre: R&B/Soul|Compilation Duration: 155 mins Format: CD / Album Type: CD No. of Discs: 2 disc(s) Studio / Label: Universal Music TV UK Release Date: 26 Nov 2007. Akon : Konvicted [platinum Edition] CD (2007)Title: Konvicted [platinum Edition] Artist: Akon Genre: Rap/Hip Hop|East Coast Rap Duration: 71.30 mins Format: CD / Album Type: CD No. of Discs: 1 disc(s) Studio / Label: Universal Music UK Release Date: 15 Oct 2007. 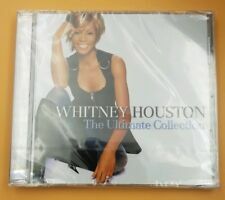 Of Discs: 1 disc(s) Studio / Label: Universal Music TV UK Release Date: 17 May 2004. Disc 1 15 Ain't No Mountain High Enough 3.32 mins. Disc 1 4 Stop! Disc 1 9 The Happening 2.51 mins. Disc 1 6 You Can't Hurry Love 2.42 mins. Of Discs: 2 disc(s) Studio / Label: Columbia UK Release Date: 23 Apr 2007. Disc 1 3 Green Light 3.30 mins. 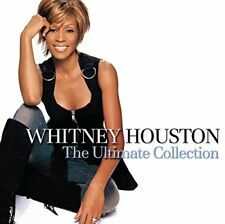 Disc 1 19 Beautiful Liar (Remix) 3.00 mins. Disc 1 18 Amor Gitano 3.48 mins. Disc 1 17 Check On It 3.31 mins. Kanye West : Graduation CD (2007)Title: Graduation Artist: Kanye West Genre: Rap/Hip Hop|East Coast Rap Duration: 59.20 mins Format: CD / Album Type: CD No. of Discs: 1 disc(s) Studio / Label: Virgin EMI Records UK Release Date: 10 Sep 2007. Stevie Wonder : Number Ones CD (2007)Title: Number Ones Artist: Stevie Wonder Genre: R&B/Soul|Motown Duration: 75.40 mins Format: CD / Album Type: CD No. of Discs: 1 disc(s) Studio / Label: Motown UK Release Date: 08 Oct 2007. Boyz-N-The Hood. Straight Outta Compton. THE BEST OF. Compton's In The House (Remix). F k Tha Police. Real N az Don't Die. 100 Miles And Runnin'. Gangsta Gangsta. Leader of the Flipmode CD (2007)Title: Leader of the Flipmode Genre: General|tbc Duration: 54.10 mins Format: CD / Album Type: CD No. of Discs: 1 disc(s) Studio / Label: Cargo Records UK Release Date: 03 Sep 2007. Various Artists : The R&B Love Collection 2007 CD (2007)Title: The R&B Love Collection 2007 Artist: Various Artists Genre: R&B/Soul|Compilation Duration: 156 mins Format: CD / Album Type: CD No. of Discs: 2 disc(s) Studio / Label: Universal Music TV UK Release Date: 09 Jul 2007 Explicit Lyrics: Yes. Betty Wright : The Platinum Collection CD (2007) NEW Title: The Platinum Collection Artist: Betty Wright Genre: R&B/Soul|Soul/R&B Duration: 59.30 mins Format: CD / Album Type: CD No. of Discs: 1 disc(s) Studio / Label: Warner Platinum UK Release Date: 19 Mar 2007. Various Artists - 100 Hits: Soul. Title:Various Artists - 100 Hits: Soul. Artist:Various Artists. All of our paper waste is recycled within the UK and turned into corrugated cardboard. Your item will be previously owned but still in great condition. The O'Jays : Best of the O'jays CD (2007)Title: Best of the O'jays Artist: The O'Jays Genre: R&B/Soul|Soul/R&B Duration: 76.20 mins Format: CD / Box Set Type: CD No. of Discs: 2 disc(s) Studio / Label: Mastercuts UK Release Date: 05 Feb 2007. Various Artists : Galaxy Dance Anthems CD (2007)Title: Galaxy Dance Anthems Artist: Various Artists Genre: Rock/Pop|Compilation Duration: 203 mins Format: CD / Album Type: CD No. of Discs: 3 disc(s) Studio / Label: Gut Records UK Release Date: 06 Aug 2007. Otis Redding : Platinum Collection CD (2007)Title: Platinum Collection Artist: Otis Redding Genre: R&B/Soul|Atlantic Duration: 46.50 mins Format: CD / Album Type: CD No. of Discs: 1 disc(s) Studio / Label: Warner Platinum UK Release Date: 30 Jul 2007. Small Talk is the seventh album bySly and the Family Stone, released byEpic /CBS Records in 1974. This album was the final LP to feature the original Family Stone, which broke up in January 1975. Various Artists : Channel-u CD (2007)Title: Channel-u Artist: Various Artists Genre: R&B/Soul|Compilation Duration: 136 mins Format: CD / Album Type: CD No. of Discs: 2 disc(s) Studio / Label: GTV UK Release Date: 23 Jul 2007. T.I. : T.i. Vs T.i.p. CD (2007)Title: T.i. Vs T.i.p. Artist: T.I. 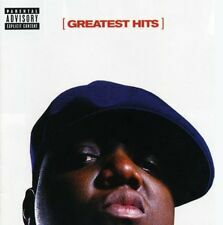 Genre: Rap/Hip Hop|Hip Hop Duration: 72.40 mins Format: CD / Album Type: CD No. of Discs: 1 disc(s) Studio / Label: Atlantic UK Release Date: 02 Jul 2007. Amy Winehouse - I Told You I Was Trouble [DVD] . Title:Amy Winehouse - I Told You I Was Trouble [DVD] . Your item will be previously owned but still in great condition. The disc will play perfectly without interruption and the case, inlay notes and sleeve may show limited signs of wear. Of Discs: 1 disc(s) Studio / Label: Warner Bros Records UK Release Date: 12 Nov 2007. Disc 1 11 This Is the Girl (Feat. Craig David) 4.10 mins. Disc 1 11 This Is the Girl 4.10 mins. Disc 1 10 Top of the Hill 3.54 mins. Musiq Soulchild : Luvanmusiq CD (2007)Title: Luvanmusiq Artist: Musiq Soulchild Genre: Rap/Hip Hop|Hip Hop Duration: 48.50 mins Format: CD / Album Type: CD No. of Discs: 1 disc(s) Studio / Label: Atlantic UK Release Date: 12 Mar 2007. Soul Clap 69. Mrs. Robinson. Hang Em High. Heads Or Tails. Soul Limbo. Slim Jenkins Place. Of Discs: 1 disc(s) Studio / Label: Atlantic UK Release Date: 17 Sep 2007. Disc 1 2 One of the Brightest Stars 3.11 mins. Disc 1 10 I Can't Hear The Music 3.45 mins. Disc 1 9 Annie 3.28 mins. Disc 1 8 Shine On 4.26 mins. Various Artists : R&B Yearbook 2007 CD (2007)Title: R&B Yearbook 2007 Artist: Various Artists Genre: R&B/Soul|Compilation Duration: 154 mins Format: CD / Album Type: CD No. of Discs: 2 disc(s) Studio / Label: Sony TV UK Release Date: 26 Nov 2007. Jagged Edge : The Hits CD (2007)Title: The Hits Artist: Jagged Edge Genre: R&B/Soul|Modern R&B Duration: 44.10 mins Format: CD / Album Type: CD No. Disc 1 5 Where The Party At (Dupri Remix) 3.53 mins. Navajo Yebechi Chant. The Eagle's Bed. Red In The Rainbow. Northern Plains Pow Wow. I Need Thee Every Hour. Crow Traditional Song. Taos Traditional Song. Taos Round Dance. Ne-Yo : Because of You CD (2007)Title: Because of You Artist: Ne-Yo Genre: Rap/Hip Hop|Hip Hop Duration: 53.30 mins Format: CD / Album Type: CD No. of Discs: 1 disc(s) Studio / Label: Virgin EMI Records UK Release Date: 30 Apr 2007. Will.i.am : Songs About Girls CD (2007)Title: Songs About Girls Artist: will.i.am Genre: Rap/Hip Hop|Underground Rap Duration: 69.40 mins Format: CD / Album Type: CD No. of Discs: 1 disc(s) Studio / Label: Polydor UK Release Date: 01 Oct 2007. 1 10 Shake Ya Shimmy. Dance Mania 2 CD (2007)Title: Dance Mania 2 Genre: General|tbc Duration: 152 mins Format: CD / Album Type: CD No. of Discs: 2 disc(s) Studio / Label: Universal Music TV UK Release Date: 30 Jul 2007. Sly & The Family Stone : Dance to the Music CD (2007)Title: Dance to the Music Artist: Sly & The Family Stone Genre: R&B/Soul|Funk Duration: 58.10 mins Format: CD / Album Type: CD No. Disc 1 1 Dance to the Music 3.00 mins. Alicia Keys : As I Am CD (2007)Title: As I Am Artist: Alicia Keys Genre: R&B/Soul|Female Vocal Format: CD / Album Type: CD No. of Discs: 1 disc(s) Studio / Label: J UK Release Date: 13 Nov 2007. Disc 1 1 As I Am (Intro). Of Discs: 1 disc(s) Studio / Label: Roc-A-Fella UK Release Date: 05 Nov 2007. Disc 1 1 Intro 2.00 mins. Disc 1 13 Fallin' 4.06 mins. Disc 1 12 Success 3.30 mins. Disc 1 11 Say Hello 5.26 mins. Disc 1 10 Ignorant Sh t 3.41 mins. It's a Man's Man's Man's World (But It Wouldn't Be Without a Woman). Darling Baby (Alternate title: Love Is All We Need). I Understand My Man. When a Man Loves a Woman. Don't You Know I Love You Baby. Ciara : The Evolution CD (2007)Title: The Evolution Artist: Ciara Genre: R&B/Soul|Modern R&B Duration: 67.20 mins Format: CD / Album Type: CD No. of Discs: 1 disc(s) Studio / Label: La Face UK Release Date: 09 Apr 2007. Notorious Thugs. Notorious B.I.G. Format: CD. Classic Artists. @ You Tonight. Want That Old Thing Back. Various Artists : Funky Breaks and Sampled Soul CD (2007)Title: Funky Breaks and Sampled Soul Artist: Various Artists Genre: R&B/Soul|Compilation Duration: 68.30 mins Format: CD / Album Type: CD No. of Discs: 1 disc(s) Studio / Label: Music Club UK Release Date: 03 Sep 2007. Format: CD. Classic Artists. These Arms Of Mine. You Left The Water Running. Try A Little Tenderness. Angie Stone : The Art of Love and War CD (2007)Title: The Art of Love and War Artist: Angie Stone Genre: R&B/Soul|Female Vocal Duration: 56 mins Format: CD / Album Type: CD No. Disc 1 1 Take Everything In 3.50 mins. Format: CD. Sale Corner. Classic Artists. I Wanna Love You [Explicit]. I Wanna Love You. Gringo [Explicit]. Alicia Keys : Songs in a Minor/The Diary of Alicia Keys CD (2007)Title: Songs in a Minor/The Diary of Alicia Keys Artist: Alicia Keys Genre: R&B/Soul|Modern R&B Duration: 137 mins Format: CD / Album Type: CD No.